West High School’s Domonique Wade gets a block on Dorrell Taylor of Franklin Heights during the season opener for both teams. Taylor went on to lead all scores with 23 points. The game was close and could have gone either way until the closing seconds when the Falcons pulled away to take a 79-72 victory. 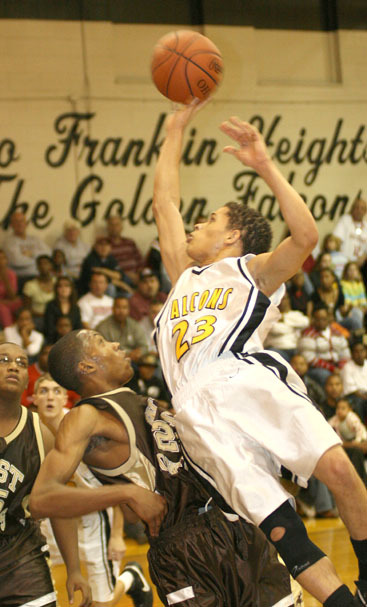 Franklin Heights’ Jerome Johnson takes it to the hoop for 2 of his 17 points against West High School.